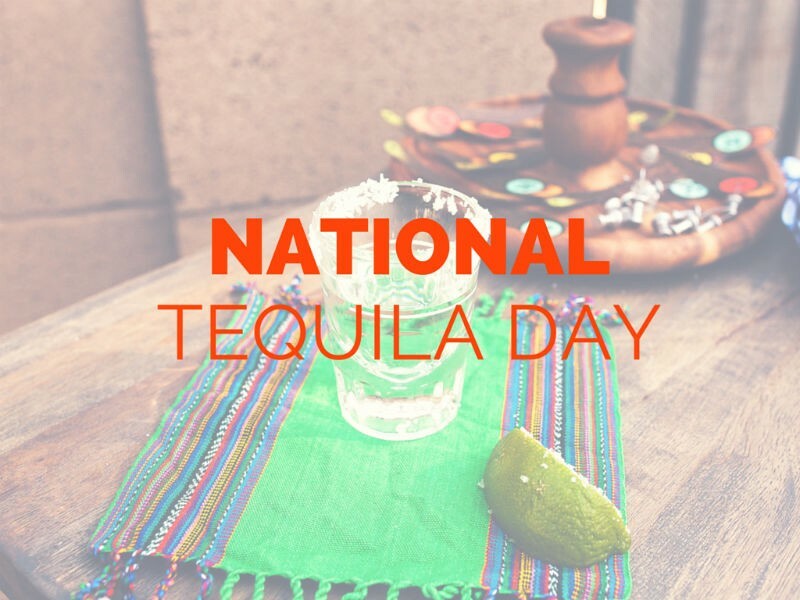 National Tequila Day is on July 24, which conveniently falls on a Friday this year! If you’re looking to celebrate this diverse liquor with a rich history, consider trying a sampling of tequilas for yourself. If you’re feeling really festive, you might even consider hosting your very own tequila-tasting party with family and friends! Read on to learn about the different types of tequila, how to taste them like a true connoisseur, and how to enjoy them in various traditional Mexican drinks. There are essentially four different types of tequila: silver, gold, reposado, and anejo. Silver tequila (also commonly referred to as tequila blanco, is basically tequila in its purest form. It’s not aged and therefore tends to have a much stronger taste. As such, it’s generally recommended for use in mixed drinks, such as margaritas, rather than on the rocks. Next, there’s gold tequila. This type of tequila is a step up from tequila blanco and is also commonly called tequila joven. This type is also unaged, but unlike tequila blanco, there are some flavorings and colors added to it before it’s bottled. These are also commonly used in mixed drinks because they’re less expensive than other types of tequila, but they’re generally not enjoyed straight. Reposado tequila is where things start to jump up in price. That’s because this type of tequila is aged in wooden barrels for usually two to 11 months. The end result is that the tequila picks up the taste of the oak, along with some natural color. Therefore, th tequila has a smoother taste (making it more appropriate for enjoying straight) and has a slight amber color to it. Finally, there’s tequila anejo, which refers to any type of tequila that has been aged for a year or more. This is the smoothest and darkest color tequila you will find, and it’s also generally the most expensive. Most people will not use this type of tequila in a mixed drink; it’s meant to be enjoyed straight from the glass. Not sure which tequila type is your favorite? Consider purchasing at least one of each type; then, you can see where your preferences lie. To ensure that you get the full experience and aromas, always taste your tequila on the rocks in a glass or something similar; never use a shot glass for tastings. Tasting a tequila is similar to tasting wine in that you should gently swish the tequila around in the glass to release its aromas before tasting. When you go to taste the tequila, hold it on your tongue for a moment before swallowing. This will allow you to get a true feel for the flavors of the tequila. Specifically, be on the lookout for flavors such as caramel, honey, oak, and vanilla. Don’t know the first thing about tequila other than that you like it? Stop by our tequila bar at our newly renovated Shea location to try any of the above tequilas for yourself!